Call or Text Listing Agent - Lori Caldwell DeVries - Real Estate Center of Spearfish - 605-641-7529 for more information. Location, Location, Location! Centrally located in Whitewood with easy access to Sturgis, Spearfish, Deadwood/Lead, Rapid City, Belle Fourche, and all the Northern Black Hills has to offer. 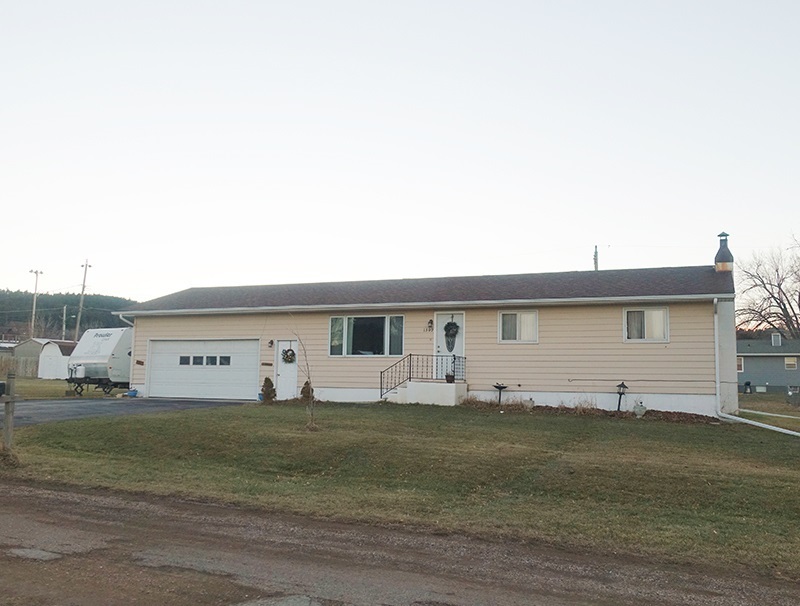 This home sits on two city lots, fenced for flowers, a garden, and your fur babies! Enjoy the views from the spacious deck with a pergola covered area for shade on those hot days. This ranch-style 4 BR/2BA home with over 2,000 square feet has several updates, including flooring, kitchen counters, and updated thermostat controls and smoke detectors. It has 3 bedrooms on the main level, a full partially finished basement, an attached 24x24 garage and a large shed with electricity. It has been well-maintained and taken care of. Go see for yourself! Buyer is responsible for verifying all information on this MLS document.